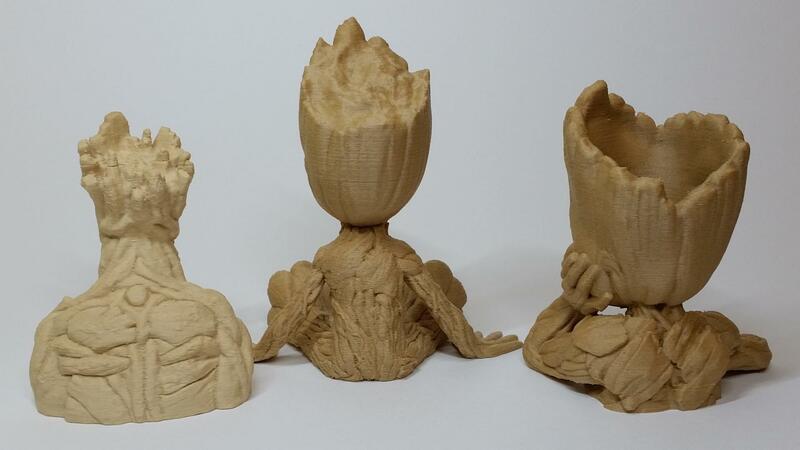 Groot Bust that we printed following the first movie has two younger companions now. We liked Baby Groot Flower Pot design for a dreamy expression on its face. Full body Baby Groot is also adorable. It was printed in two parts. However, there is also a file available where the figurine can be printed as a whole. You can find the links to the Groot files at the end of this article. In our experience, wood filament clogged both of our printers’ nozzles, Delta Wasp 2040 and Original Prusa i3 MK2. Fixing a clogged nozzle is not the easiest process, it can also be dangerous. 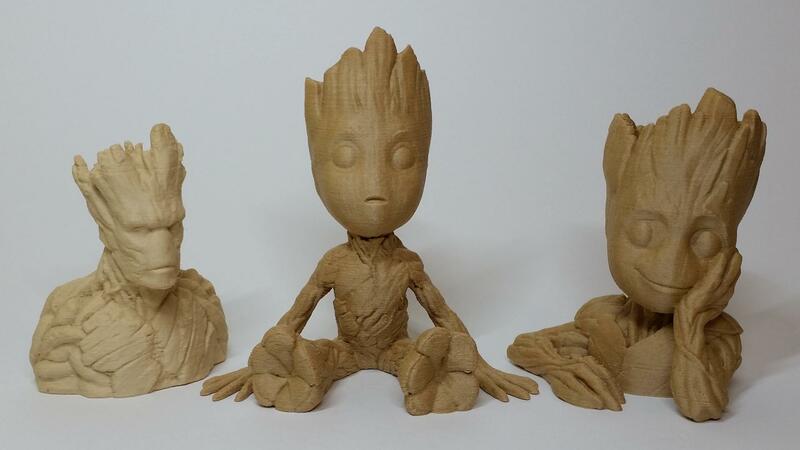 Before trying to use wood filament we would recommend to become comfortable using PLA first and get to know your 3D printer well. 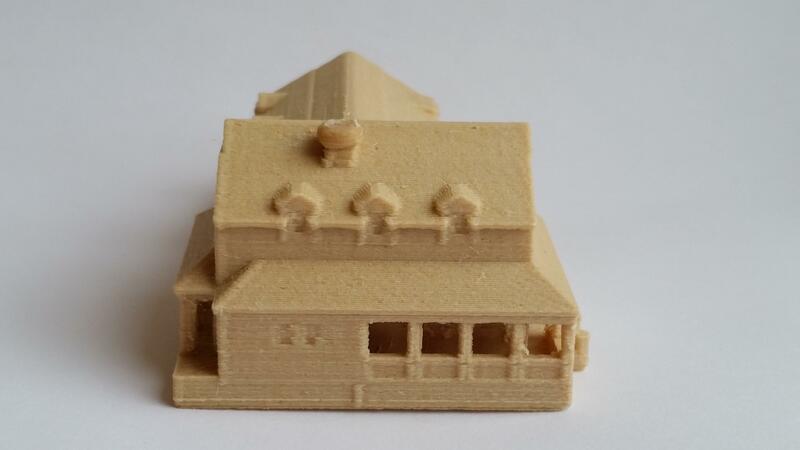 When 3D printing in wood it is important to stick to the manufacturer’s guidelines. If the temperature is too low, the filament doesn’t flow, if too high it burns. Sticky tar residue may accumulate inside the extruder, even if it is not visible. See picture one below where it dripped onto an unfinished part. It is good to know that wood filament may change colour depending on the temperature. As you can see on the 3rd picture, that top of the chimney has melted and is slightly darker compared to the rest of the object. 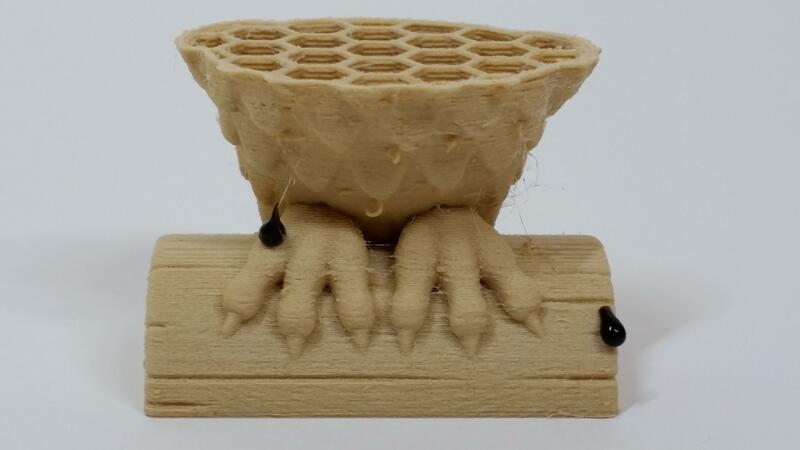 In a YouTube video below we are 3D printing in wood filament with Delta Wasp 2040. One of the finished Groot Busts gets treated with varnish. This preserves wood and makes it last longer. In Wood Filament Review video, we show Cura, slicing software, settings that worked well for the Elephant Toy. It was designed with moving parts and there was no problem moving the legs straight off the printing bed.